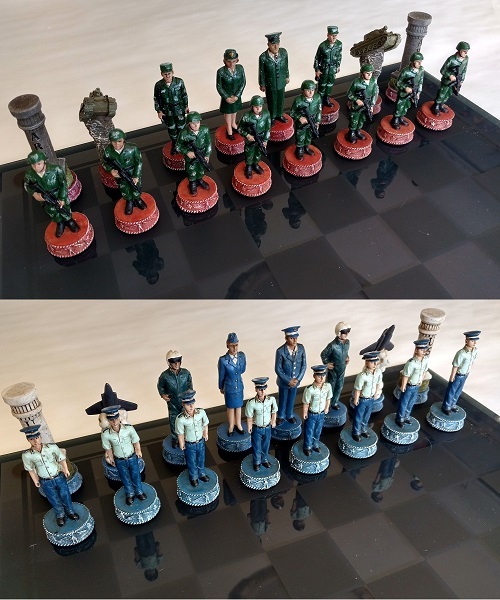 Stage your own battles with these highly detailed Army and Air Force chess sets. 15"x 15" glass chess board included. Available in inventory at $69.95 each.